Most cargo carried by ULD is quite standard: electronics, clothing and shoes, general-purpose goods, and, of course, baggage. Such items will be carried in standard ULD, using the standard operating practices already covered in this book. However, ULD have a smaller but nevertheless significant requirement to move a range of different, non-standard items, which require completely different types of ULD or completely different handling, or sometimes both. 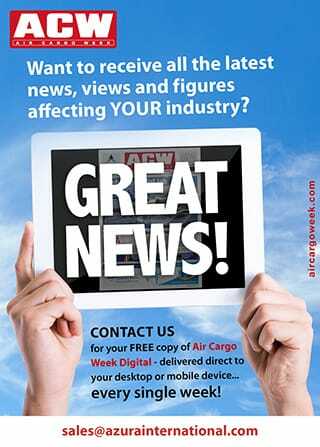 As the cargo handling and air cargo industries have grown and pursued different opportunities, there has been considerable expansion in each. One of the largest developments has been the transportation of temperature-sensitive materials, an extremely important sector for the air cargo industry. In addition, we have seen developments in the transportation of horses and livestock, vehicles, helicopters, large machinery and a whole host of other non-standard items. These cargoes are not yet so common that all operators are familiar with relevant procedures and have the facilities to support their use, but they are sufficiently common that the consequences of improper operations can be significant. The list of special ULD used today includes, but is not limited to, temperature-controlled equipment, animal-moving equipment, vehicle transport equipment, and engine stands. The term ‘special cargo’ includes, but is not limited to, offset cargo, overweight cargo, overhanging cargo, sharp or piercing cargo, outsized cargo, crated heavy machinery, reels or spools, motor vehicles or other wheeled cargo, tall cargo, and rigid cargo. These lists do not remain static; additional special ULD and/or special cargo will certainly emerge as time goes by. 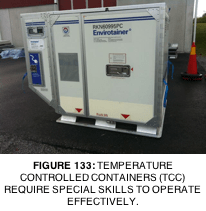 Who would have imagined the huge proliferation of sophisticated temperature-controlled containers that carry pharmaceuticals and other products across the world on a daily basis twenty years ago? Expect more such change in the future. It is often the case that special ULD are manufactured in small batches, by companies capable of delivering the type of customised solutions generally required for such products. There is not a great deal of overlap between the manufacture of standard ULD and special ULD, but the basic principles of designing and manufacturing ULD remain the same. Bearing in mind that a large proportion of special ULD are designed for use on the main deck of freighter aircraft, there is also a requirement that an item be certified. This, however, is not always straightforward, because unless the item fits into one of the prescribed size categories listed in NAS3610/AS36100, problems can arise. Alternative certification or application solutions may need to be found, so any operator planning to use special ULD should always carefully examine a device’s certification status, to ensure it complies with aircraft WBM requirements. When it comes to the operation of special ULD, it is important to always consult OEM documentation beforehand. Special ULD will almost always be more complicated, and typically have special operating requirements and procedures. Guesswork has no role in such, as this can easily lead to unsafe operations and/or damage to special ULD, which are typically considerably more expensive than standard ULD. Just because special ULD are uncommonly seen does not mean that their storage and handling can be left to chance. 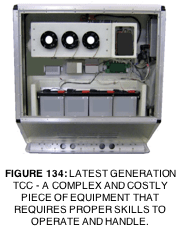 Failure to correctly store and handle bulky or heavy special ULD will lead to damage, which is only exacerbated by the likely lack of availability of an alternative unit if the original is found to be unserviceable. Special ULD often contain components that are removable, which can sometimes lead to one part of a ULD being left on one side of the world, and another part on the opposite side. When working with such equipment, it is critical to ensure that any loose items, even if removed temporarily, are replaced on the ULD before departure. Over the past decade, the global transportation of pharmaceuticals and other products requiring very precise control of temperature and other environmental conditions during their transport has increased significantly. Globalisation has resulted in such commodities routinely being transported halfway around the world, by complex journeys that require transfers between different modes of transport. Some of such journeys involve exposure to extremely hot or extremely cold locations. The TCC that perform these jobs today are the result of over forty years of development in temperature-controlled air transport. The earliest insulated ULD were no more than a half-size lower deck container (AKE) with insulation throughout its base, roof, sides, and door. These units were heavy and easily damaged, and, while they were successful in providing some degree of temperature control, their performance was quite limited. In some cases, dry ice would be packed with the cargo before the journey. The next step in the evolution of these products was to add a bunker for containing dry ice, accessible from a small external door. This meant that dry ice could be topped up during a journey without opening the main container door, increasing the length of time for which a unit could operate. After implementing dry ice systems, the next development was to fit a fan capable of circulating internal air over the dry ice and then over the cargo, and to add a thermostat to facilitate basic temperature control by turning the fan on and off. These containers represent the transition from simple insulated devices to today’s complex TCC. The final step in this evolution has been a move to fully active TCC. These designs no longer use dry ice, instead operating on a battery-powered refrigeration system, such as might be found in an industrial refrigeration installation. They use state-of-the-art rechargeable batteries which are capable of providing the necessary power supply for a considerable period of time, and providing heat as well as cooling. The entire process is controlled by a sophisticated system, and all of this is packed into a standard lower deck container, such as an RKN.